Smiling salesperson showing the car. Auto business car sale concept. 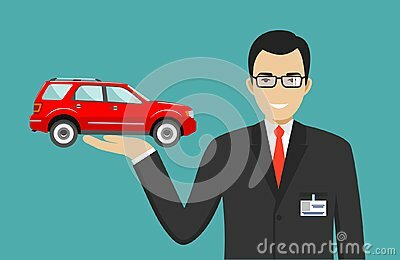 Detailed illustration of businessman and red auto in flat style. Dealer with a car in his hand.